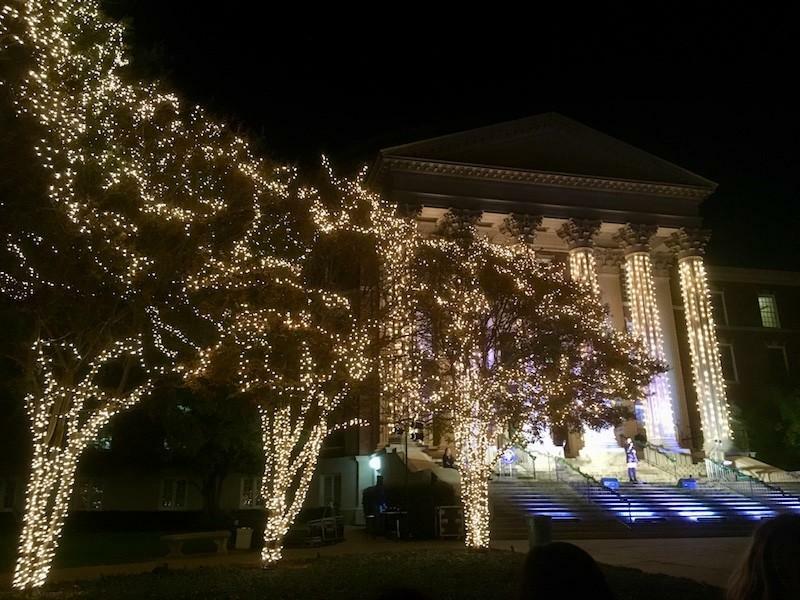 Lights, hot chocolate and Christmas songs were all part of SMU’s 43rd annual Celebration of Lights. 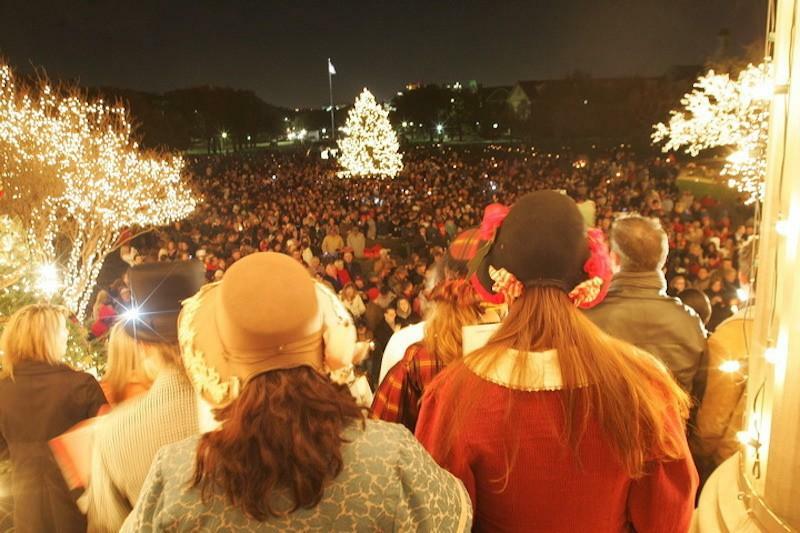 The SMU community simply overflowed with the holiday spirit. Students, faculty, alumni, kids and even pets came together to enjoy one of SMU’s sacred traditions on Monday, Nov. 28. 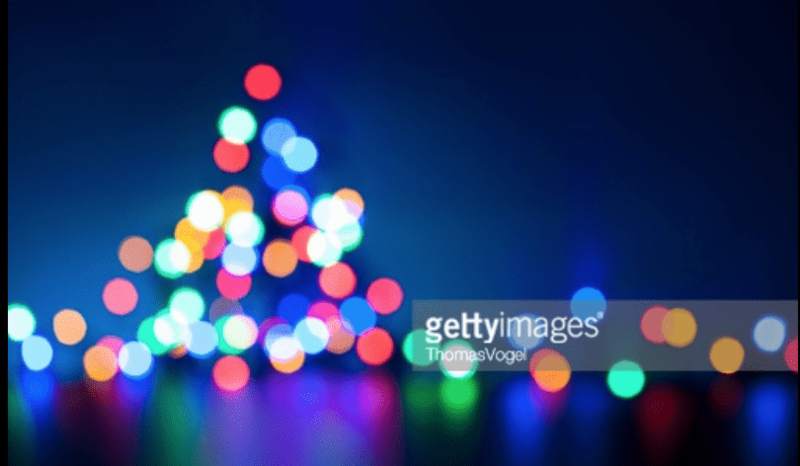 Every year, SMU Student Foundation hosts this end-of-semester tradition by bringing together artists, talented students and our very own President R. Gerald Turner to celebrate the holidays. Lights around campus light up following the performances. The night kicked off with a performance by The 3 Years, a band formed by SMU seniors Nicki Fletcher and Chance Russell. The band encouraged audience members to sing along to their rendition of “Santa Claus is Coming to Town.” Everyone sang along with enthusiasm as the band introduced the night with holiday cheer. President Turner read the Christmas story from his Bible, per tradition as well. 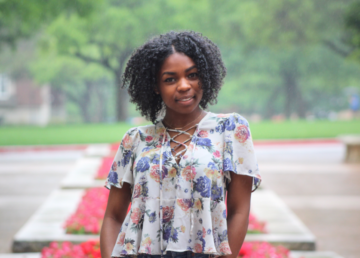 The celebration ended with Senior Regina Debilio’s rendition of “Silent Night.” The Boulevard suddenly became serene as audience members sang along. Lights illuminated the university following the first verse of the song. Watch our Facebook Live of the event below for full coverage of SMU’s sacred night.